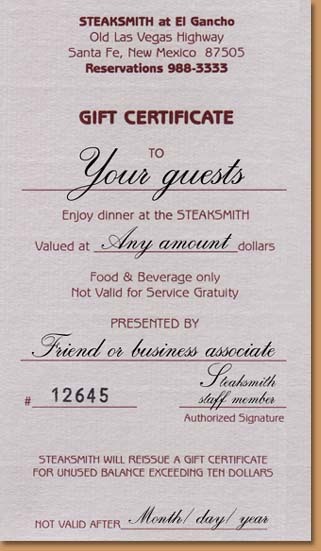 Steaksmith offers gift certificates in any dollar amount. They are perfect for any occasion and always appreciated. Simply call in your gift certificate order and we will mail it to you or the recipient. You may also stop by the restaurant between 9:00 am and 10:00 pm to purchase a gift certificate.